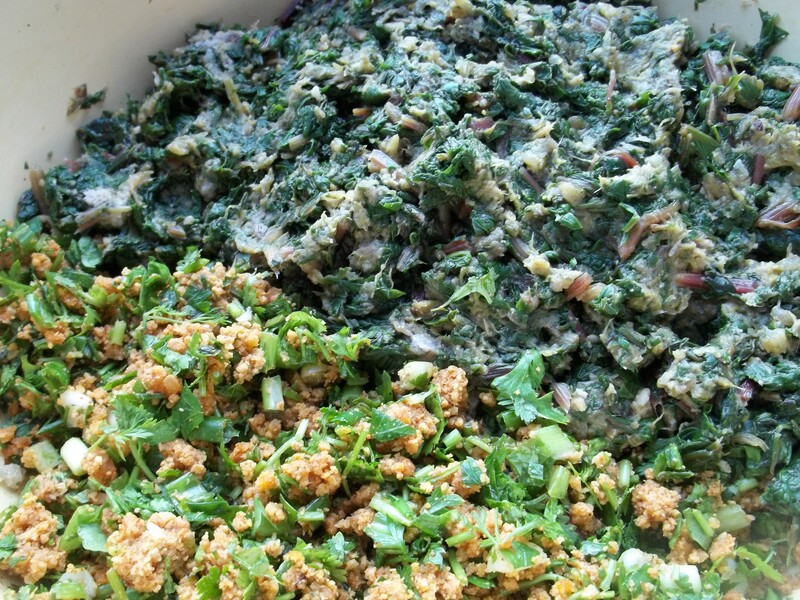 Fkhali (Georgian: ფხალი) is a popular dish that can be made with many different types of leaves, including spinach, nettles, cabbage and beetroot. It can also be made with vegetables and nuts. 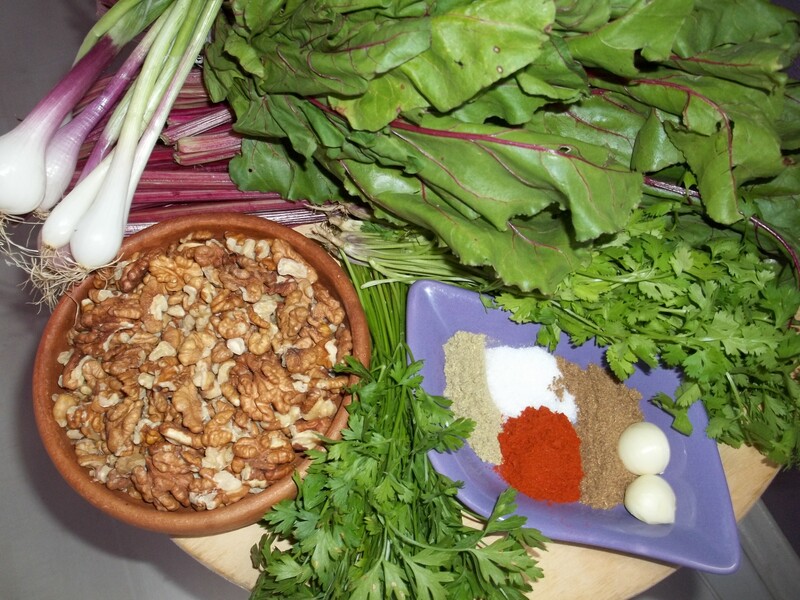 In this recipe we show how to make Fkhali with beetroot leaves and walnuts. 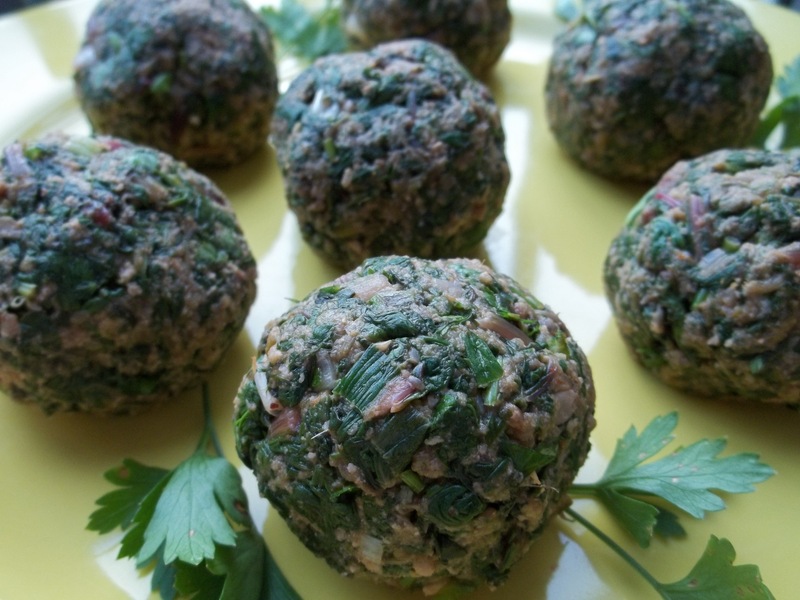 Ingredients: 1 kilo of beetroot leaves (with stalks), 250 grams of walnuts, 30 grams of fresh coriander, 30 grams of fresh parsley, 6 green onions (with stalks), 1 tsp of dried coriander, 1 tsp blue fenugreek, 1 tsp of dried red pepper, 2 cloves of garlic and salt (dependent upon individual taste). Preparation: Wash the beetroot in cold water. Cut the stalks from the beetroot. Add the stalks to a deep pan of salted water and boil for 10-15 minutes. 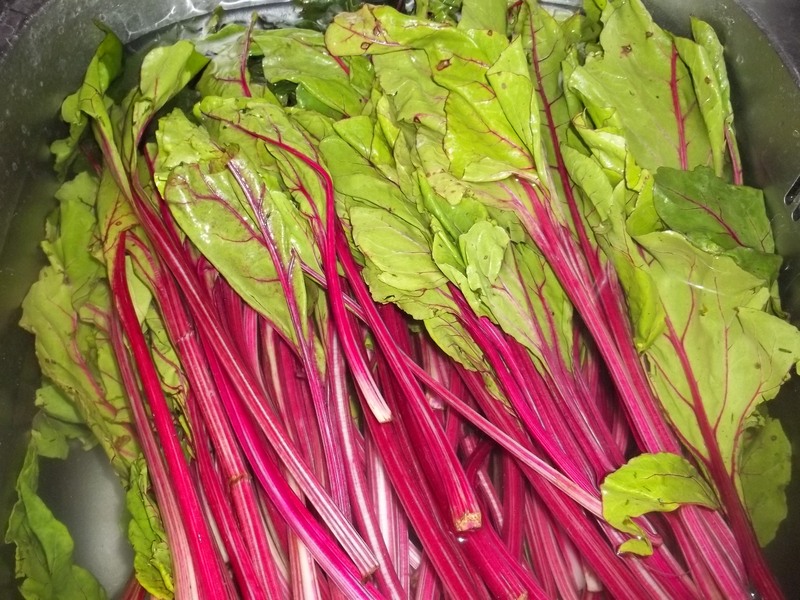 Add the beetroot leaves to a separate pan of salted water and boil for 5 minutes. 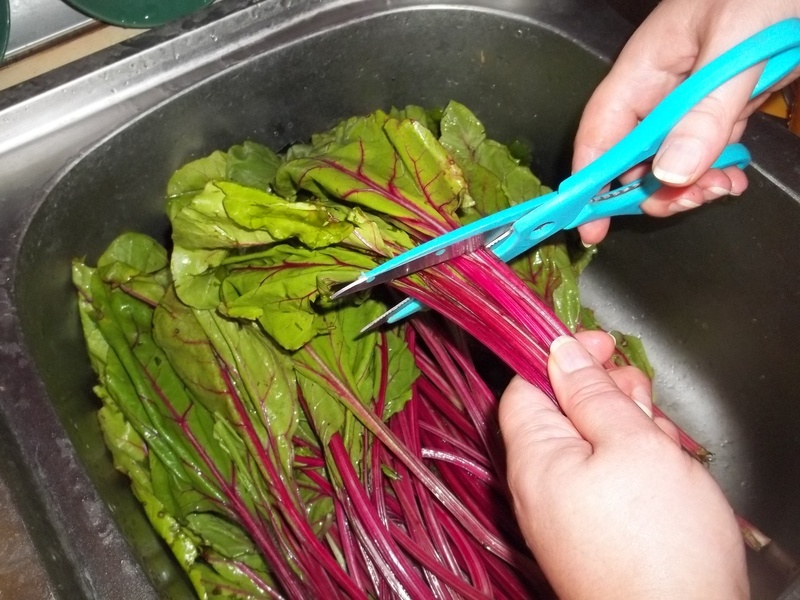 Once the beetroot leaves and stalks have boiled, allow them to cool down. 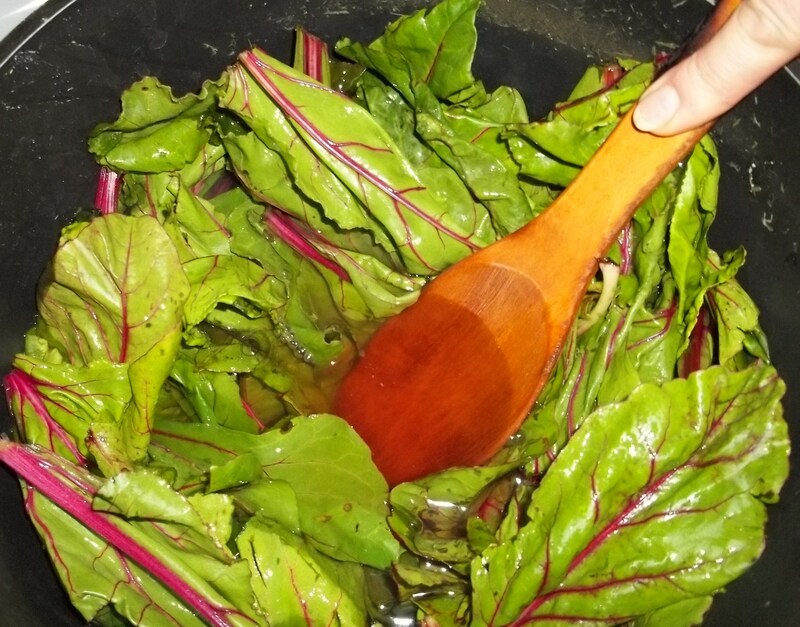 Once cool, squeeze the boiled leaves to remove as much liquid as possible. 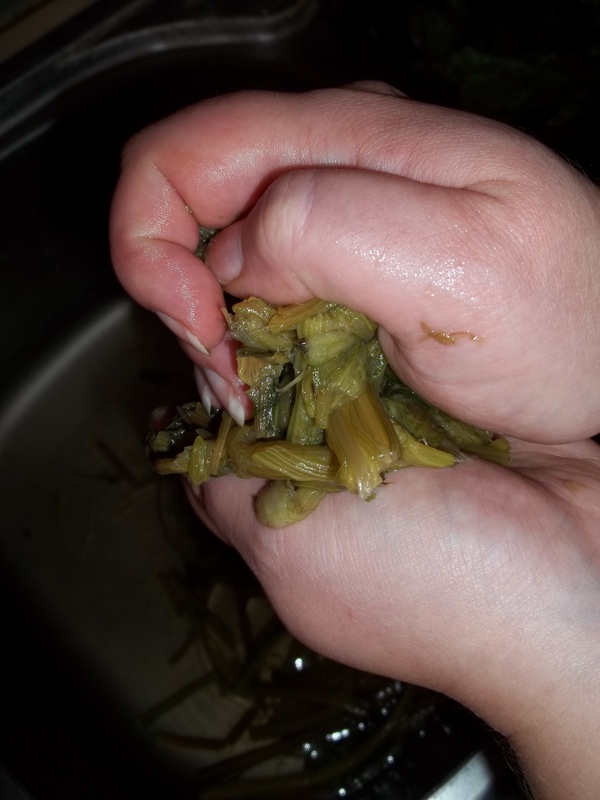 Repeat the process with the boiled stalks. We squeezed the leaves and stalks into separate balls to make them easier to manage. 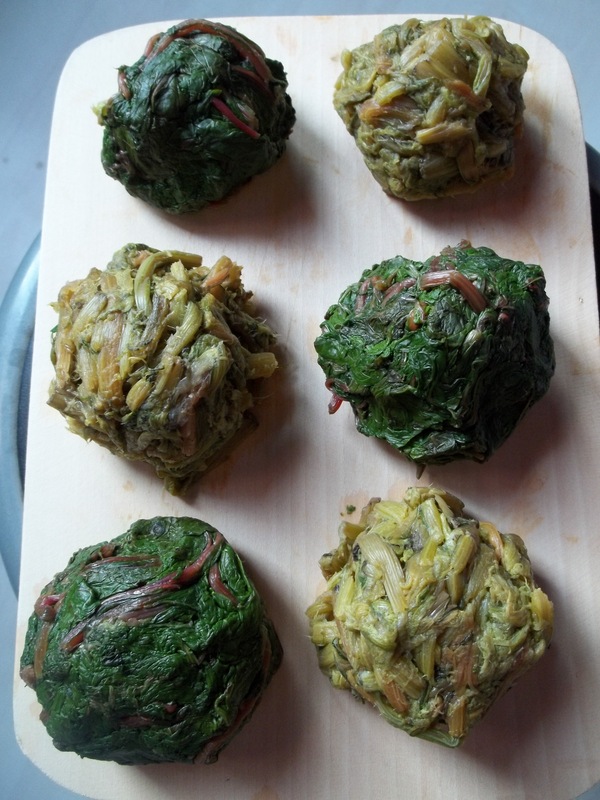 The green balls in the picture below are the squeezed beetroot leaves and the yellowish balls are the squeezed beetroot stalks. 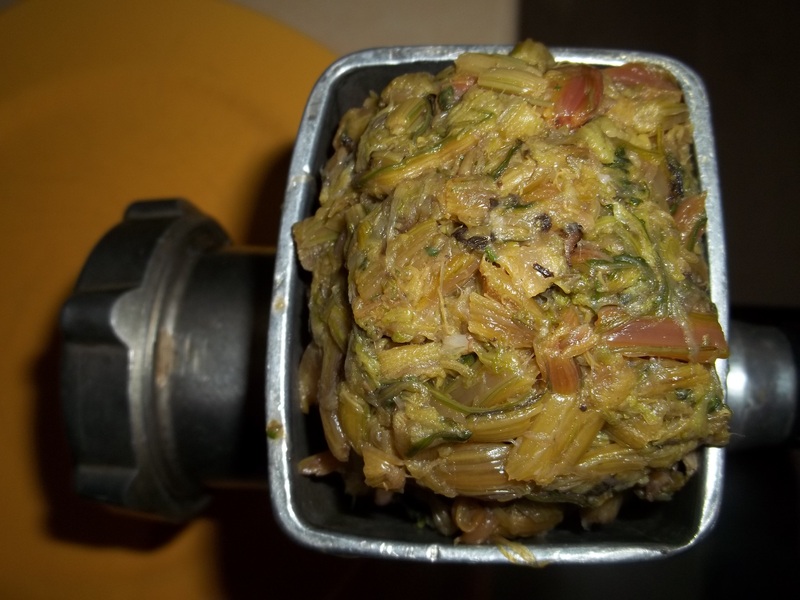 Add the beetroot stalk balls to a grinder and grind. 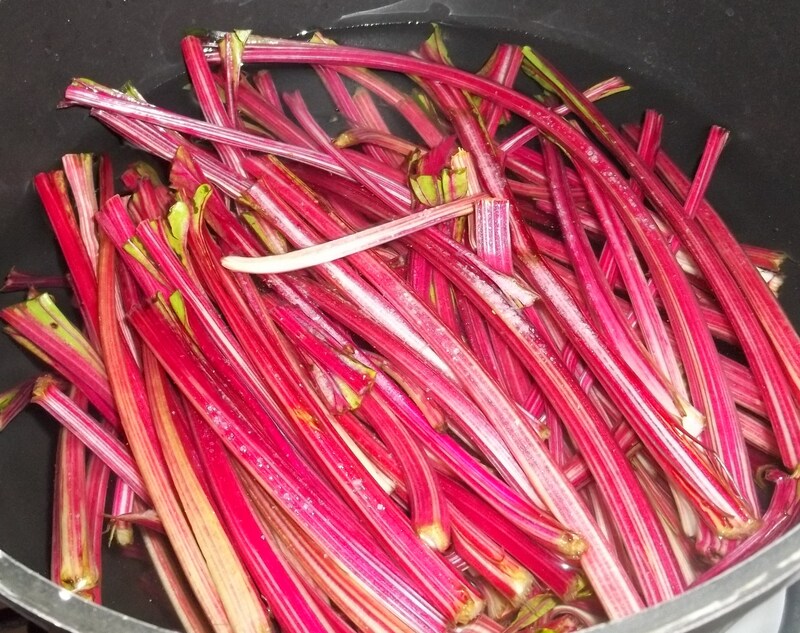 Add the ground beetroot stalks to a mixing bowl. 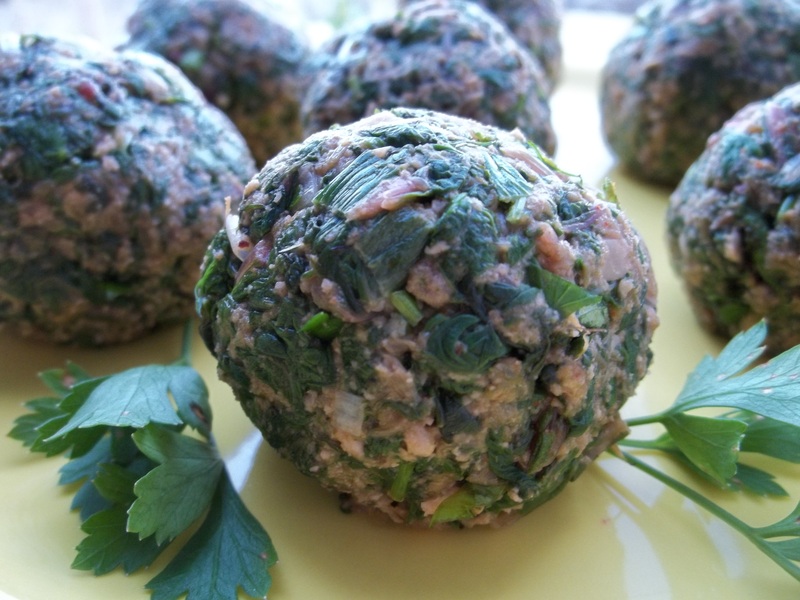 Finely chop the beetroot leaf balls and add to the mixing bowl containing the ground beetroot stalks. Use a plate to chop and mix the stalks and leaves. 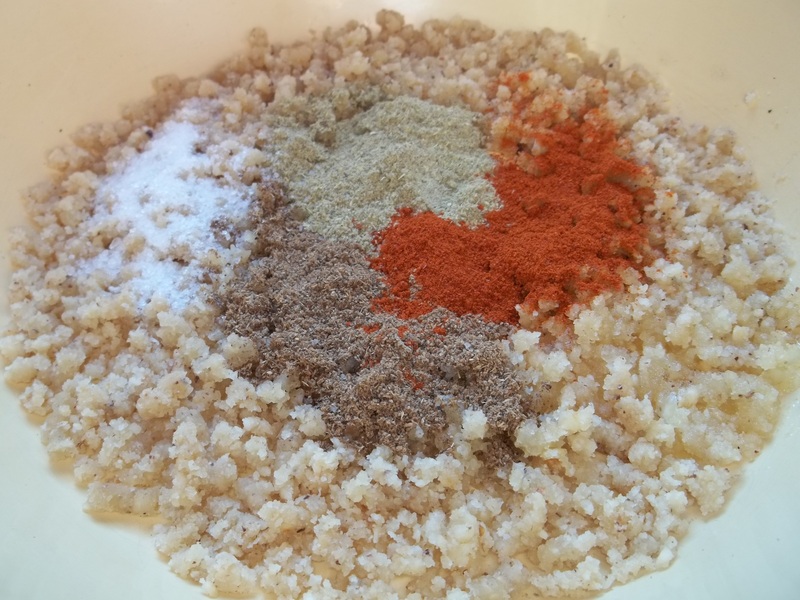 Grind the walnuts and garlic and add to a mixing bowl, together with the spices. Mix thoroughly. 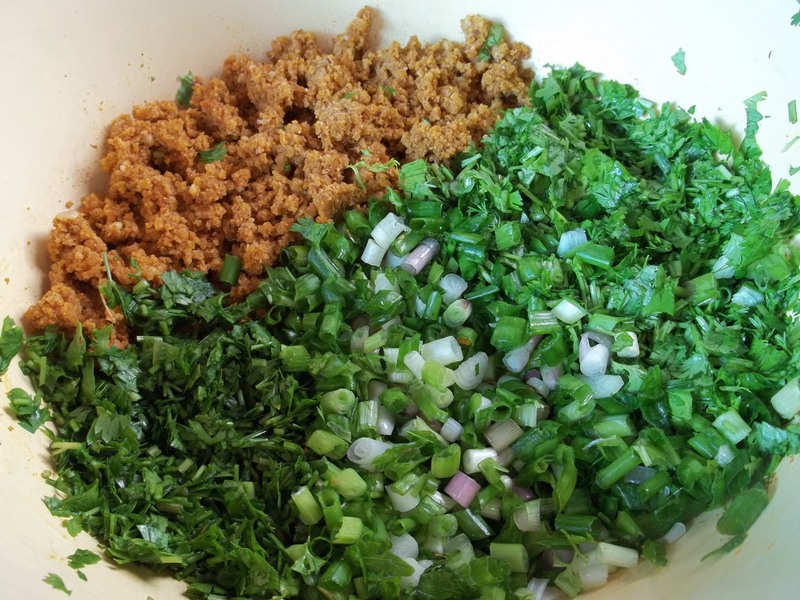 Finely chop the parsley, green onion and green coriander and add to the bowl containing the nuts and spices. Mix thoroughly. 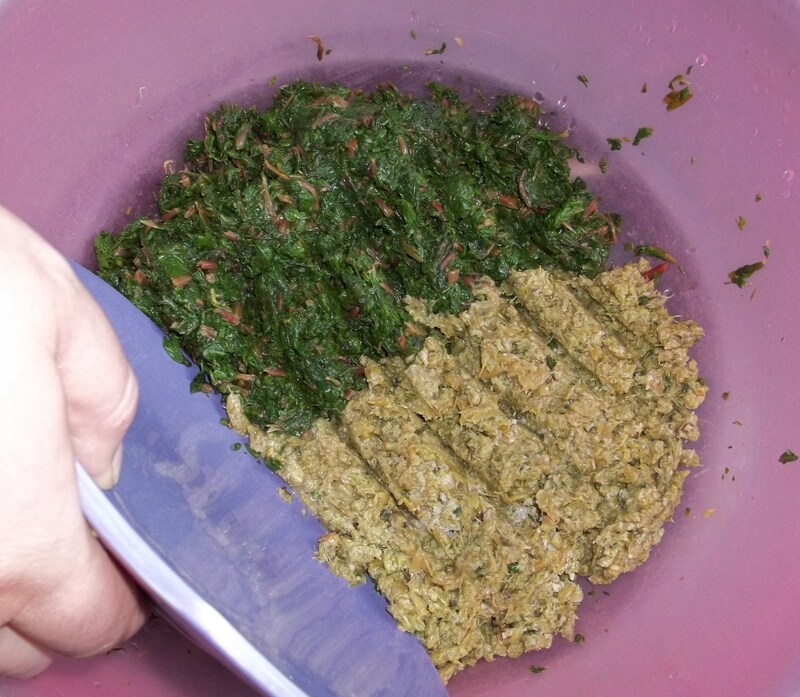 Add the herbs and nuts mixture to the bowl containing the beetroot leaf/stalk mix. Mix thoroughly and shape into small balls. Serving: Serve cold with bread or Mchadi (Georgian cornbread). 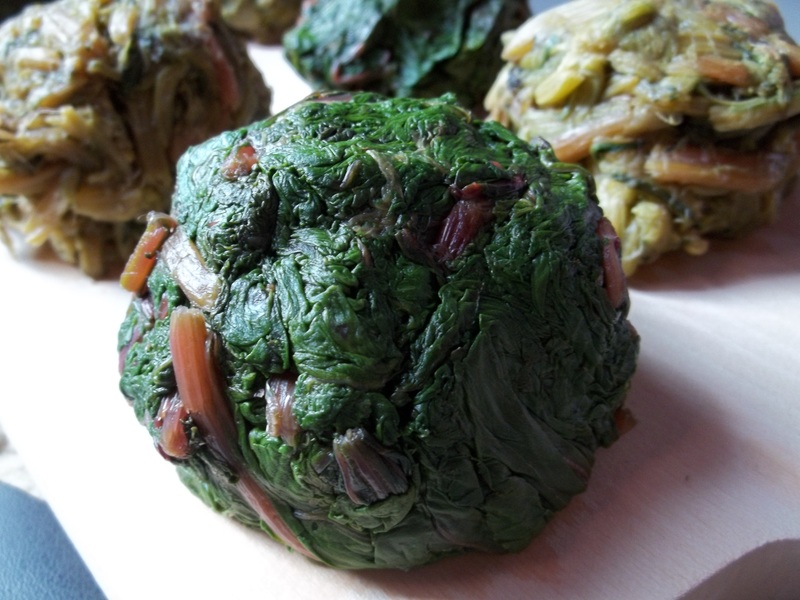 Enjoy your Fkhali with beetroot leaves and nuts! 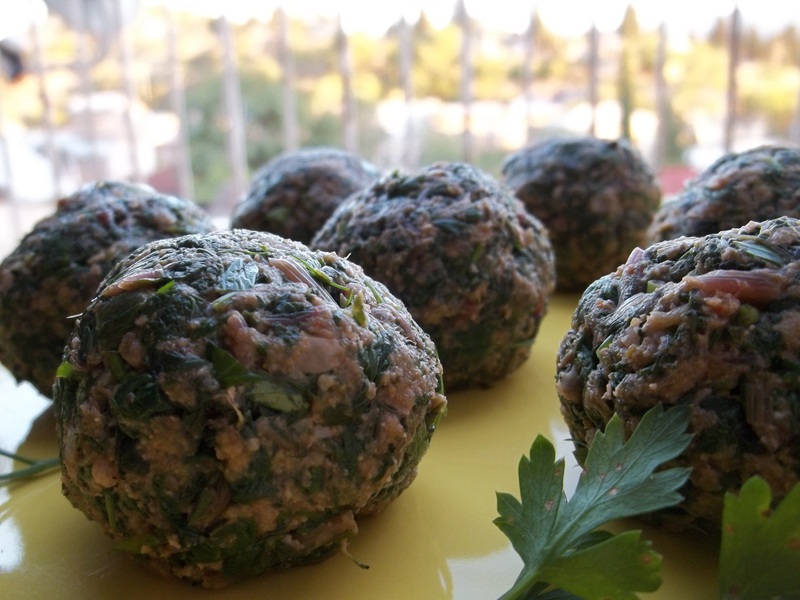 They look like meatballs, very nice recipe.